In this article, we look at the independent ranking of Singapore’s 3 levels of education by various research and education authorities, and the underlying implications. The first level is Preschool education which can start any time from birth, but is easiest from age 3 onwards till age 6. Primary and Secondary education form the second level of education, and it usually takes place from age 7 (Primary 1) till age 16 (Secondary 4). The last level of Singapore Education system is the tertiary level, which for ease of ranking, will be defined as graduate or post graduate studies at Singapore’s local universities. Entry into this level generally takes place from age 20 onwards. 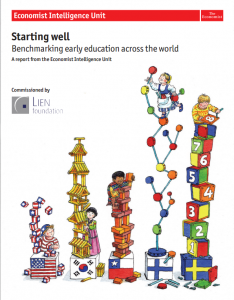 The ranking and comparison of the pre-school education in different countries is done by the Economist Intelligence Unit, commissioned by Singapore’s Lien Foundation. 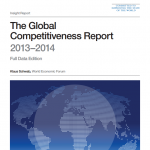 In the report, Singapore ranked a mere 29th out of 44 countries. Ranking was based on 4 Indicator Categories, as shown in the following table. Singapore is among 29 countries to obtain top scores in the category of social context as these countries all had high infant survivability rate, medical immunisation rate and relatively little gender disadvantage. Note that in the report, Finland’s overall score ranks 1st out of the 44 countries, coming out top as best overall provider of preschool education. Singapore’s performance in the other 3 categories however, leaves much to be desired, especially in the Quality category where Singapore was hardest hit. Here at Mrs Sam’s Learning Formula, our focus is on quality. Children who have undergone our programmes develop the much required multi-faceted discipline required to smoothly sail through their academic life. We need only speak to a few parents whose children have difficulty adjusting to the rigour of schoolwork. On the other hand well-adjusted pupils are spared the trauma of poor performance and low self-esteem. We have first-hand experience conducting remedial programmes in schools for pupils who have fallen out of the mainstream. As is always the case, cure is many folds harder than proactive inculcation of the right attitude and aptitude. Here are the various components quality preschool education will have; this also forms the basis on which our programme is structured and conducted. Comparatively, Singapore had done impressively well in the Primary & Secondary and Tertiary Education sections. Let us look at how Singapore ranks in these 2 levels below. There are 3 independent authority who did the rankings, based on different aspects. 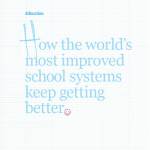 In the independent report published in Nov 2010 by top consulting firm McKinsey & Company, Singapore was ranked among the top education systems, with mechanisms in place to continually improve its performance. See details of MOE’s press release of the report here. 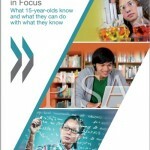 PISA or Programme for International Student Assessment compares the performance of 15 year old teenagers in Singapore with those in the other 64 OECD countries. The PISA 2012 Comparison Table shows that Singapore is well ahead of Finland in terms of reading and science abilities, despite Finand’s overwhelming superiority in their preschool education provision. Click here for more information on PISA and here for MOE’s press release of the previous PISA report. In the Times Higher Education World University Rankings 2013/14, both NTU (Rank 76) and NUS (Rank 26) ranks within the top 100 Universities out the the 400 in the list. In the QS World University Rankings 2013, both NTU (Rank 41) and NUS (Rank 24) ranks within the top 50 out of the 800+ universities in the list. Singapore still has a large proportion of families that communicates using the Mother Tongue. This means they do not get enough exposure to English communication. Children from such a family setting are invariably inhibited from expressing themselves in English due to diffidence from the lack of opportunities to practice. Consequently, there is every possibility that these children are caught up in a vicious cycle that stifle their reading ability and eventually hinder their overall English communication. There will inevitably be a certain level of stress for students in Singapore, as this island state boasts one of the best education systems in the world. What we can do however, is to ensure that parents try to reduce the study stress for the child, especially so during the Primary and Secondary school years of the child’s education. With such a large gap to catch up during the Primary and Secondary school years, it is no wonder children and parents alike feel the pressure of our formal education system, which begins from Primary 1 onward. It is noteworthy that also that the government has acknowledged the Starting Well Report in the 2013 Budget. Accordingly, as this recent news article will bear out, even PM Lee is emphasizing the importance of raising pre-school standards. While more are done to increase the quality of the pre-school education, in the meantime, parents are strongly encouraged to ensure that their child receives quality preschool education due to the great benefits it confers.